Createspace Independent Publishing Platform, 9781477699805, 316pp. Viveka Janssen isn't a dragonslayer. She's a practical Midwestern girl brought to San Francisco by the prospect of an entry-level PR job, and her greatest ambitions involve finding an apartment and making a good impression at work. But Viv's sensible nature is shaken when she comes into possession of the legendary sword Excalibur, and finds herself thrust into the front lines of a shadow war against the immortal armies of Morgan le Fay. Ancient and malevolent creatures hunt the streets by night. Monsters out of fairy tales lurk in subway tunnels. 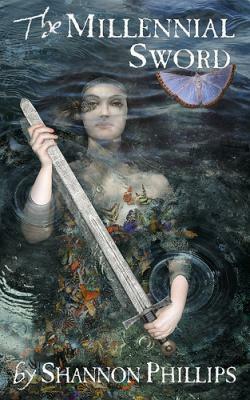 Only Excalibur-and Viv-stand between human civilization and the forces of wild magic. Shannon Phillips lives in Oakland, where she keeps three chickens, two sons, a husband, and a dog.